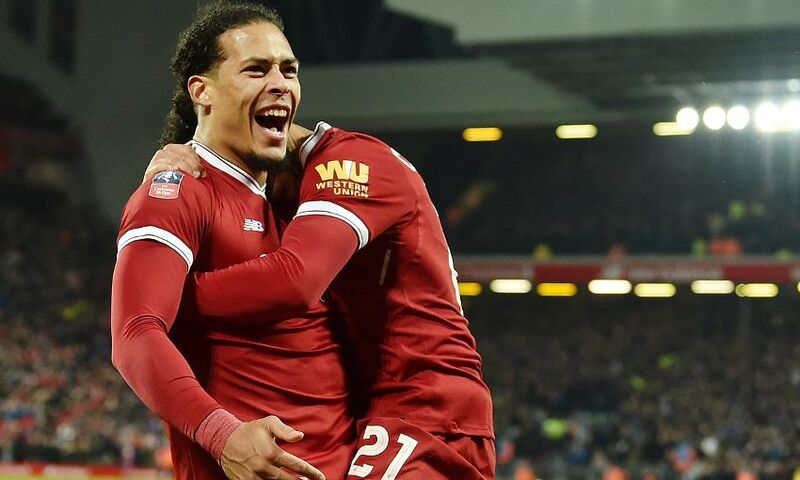 Virgil van Dijk is in contention to make his Premier League debut for Liverpool against Swansea City on Monday night after returning to training this week following a hamstring complaint. The January signing missed the dramatic 4-3 win over Manchester City but joined in the team’s sessions at Melwood this week and is ‘completely fine’ ahead of the journey to the Liberty Stadium. Daniel Sturridge is fit, but Ragnar Klavan, Dejan Lovren and Mohamed Salah each suffered with illness during the week. “Raggy was out, but hopefully back today. Dejan was out. Mo Salah was out, but hopefully back today,” Jürgen Klopp explained at his press conference on Friday. Jordan Henderson and Alberto Moreno continue to make encouraging strides in their recoveries from respective hamstring and ankle injuries, though the clash with 20th-placed Swansea is likely to come too soon for either to feature. Loris Karius will continue in goal after back-to-back Anfield appearances against Everton and City. There was positive fitness news for the Welsh club in the build-up to the game, meanwhile. Defender Mike van der Hoorn had to be taken off during the Swans’ previous league outing, a 1-1 draw at Newcastle United, but made a prompt return to training and is available to Carlos Carvalhal. The hosts are also hopeful of having Renato Sanches (hamstring) and Tammy Abraham (hip) for the match, while Angel Rangel (calf) is working towards full fitness.